LabEquipmentsManufacturersIndia is a leading wood workshop portable lab equipment manufacturers, suppliers, and exporters company in India. We are specialized in offering high-quality range of wood workshop portable laboratory equipments to our clients as per their special request at the competitive prices. Our wood workshop portable lab instruments are manufactured by our highly qualified and experienced team, using high-quality raw materials and latest technology. 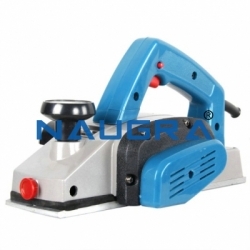 Some of our widely used wood workshop portable laboratory instruments are band saw machine, 3/4 blades budle, horizontal mobile band saw machine, jig saw machine, jointer planer-machine, wood lathe machine, spindle moulder machine etc.